1. Select desired photograph and click the “BUY ” button to its right in the gallery to see media options (see below for more info), formats and prices. Images can also be purchased for immediate digital download. Download our price list. 3. 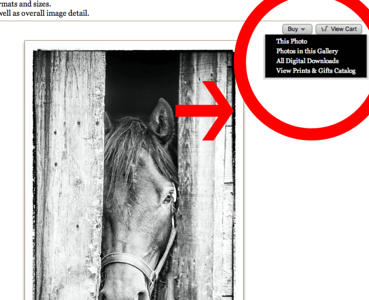 Click “Back to Photos” to continue browsing your gallery or “Checkout” to complete the sale. You can view your cart or checkout at any time by clicking the “View Cart” button or the “Shopping Cart” link at the bottom of each page. Lustre – These prints offer the best of both worlds: the colour saturation of glossy the fingerprint resistance of matte without the glare associated with glossy. Metallic - Rich, distinctive prints with a huge WOW! factor. With a glossy finish and unique metallic appearance, these prints have extra visual interest and depth. They are printed on long-lasting Kodak Professional Endura Metallic paper. This paper uses a proprietary combination of film laminate layers that produce striking, three-dimensional, lasting images on an ultra-bright background. 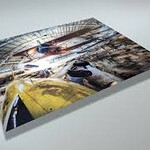 are made with high-quality archival inks on fine art papers using a high-resolution large format inkjet printer. The premium inks produce images with smooth tones and rich colors, making these prints ideal for extraordinary presentations. The Giclée process enables us to print directly onto museum-quality canvas material, so prints will not separate over time. 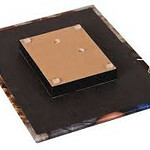 There are three different mounting options: Canvas Wrap, Canvas Stretch/Staple, and Canvas Board. 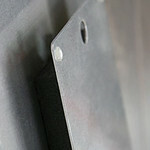 Protective spray coating is applied to the surface of each print to help prevent scratches and other damage. Please contact me if you wish to discuss which would be the best for your image. 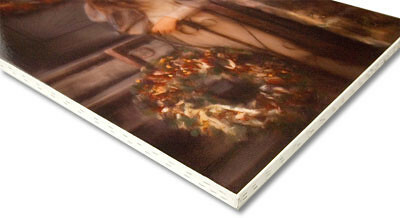 Canvas Stretch/Staple mounting is a unique way to display your images like a fine art canvas. The print is stretched to the edge of a 1 3/4″ thick wooden frame, and stapled around the edges, leaving the full image on the front. Suitable for framing. Canvas Board prints are mounted onto sturdy Gator Foamboard, very rigid foamboard and lightweight backing with a white finish. More information on Giclée Canvas options. 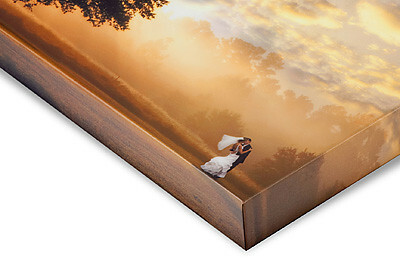 Beautiful metallic prints with smooth satin laminate neatly wrapped around sturdy, 3/16″ board. 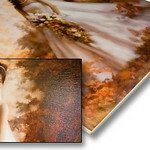 Thin Wraps 16×20 and larger are wrapped around Gatorboard, and prints 16×16 and smaller use masonite. Each ThinWrap comes backed with two 3/4″ thick lightweight foam blocks with holes drilled for easy hanging. The mounting blocks hold the print away from the wall for a contemporary float effect. 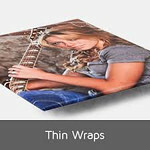 ThinWraps 16×20 and larger are wrapped around Gatorboard, and prints 16×16 and smaller use masonite. More information on Thin Wraps. While there are many choices available in terms of print sizes, not all images fit all sizes and cropping may change the look of the finished print. Most images are in a 2:3 aspect ratio and will print best in a print size utilizing that ratio. I can easily tell you what print size options you have for the aspect ratio of any image so please don’t hesitate to contact me . I always double check your order for crops, colour, etc. before sending to the lab for printing. Print & shipping credits and gift certificates can be redeemed at checkout.